A Christmas speciality in Spain, the traditional varieties are made from almonds, honey and egg whites. Turrons are one of my special childhood memories. Around Christmas, my Nana would receive a parcel from her cousin Providencia in Barcelona. Packed in pine boxes and wrapped in wax paper were Turrons Jijona. She would slice a sliver of turrons for us and my memory is that it was a most heavenly taste. 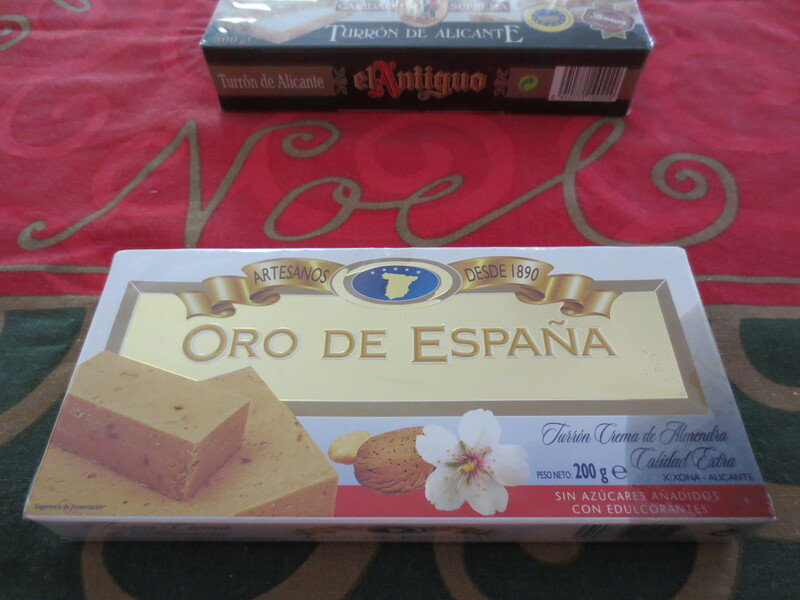 So for me, turrons had a special magical quality about it : coming all the way from Spain, a package covered in stamps with the Spanish King’s head, packaged in pine boxes and sweet, smooth and delicious. Turrons disappeared from my life for many years but nowadays I try to source a few packets for special gifts and our Christmas table. And I try to convey to my children and granddaughter the special association turrons have for me and to our heritage. Turrons take me back to my childhood, standing in my Nana’s kitchen savouring my slice of turron and having a sense that this was special. Today, there are many more varieties to choose from and if you are in Spain close to Christmas, then visit one of the specialist turron shops. Every year I try to source Turrons locally but I will also buy from delis in Sydney or Melbourne and have them posted to me. Casa Iberica in Melbourne are now well stocked with the Jijona (soft) and Alicante (hard) turrons. They make ideal gifts and are also perfect for the dessert table of your Christmas celebration. And the bonus is that they are gluten free – or at least the brands I purchase. Check the Alicante varieties that have a wafer cover. The packets I purchased have the wafer made with potato starch.